Númenor colonizes Middle Earth - 700 years after returning to Middle Earth, the Númenóreans finally began to colonize it. They sailed for the harbour established by their king, Tar-Aldarion, about a century and a half earlier. 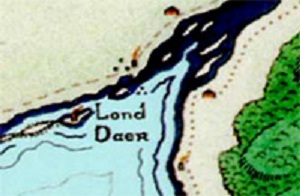 In time, Vinyalondë would grow and become known as Lond Daer, the Great Haven.